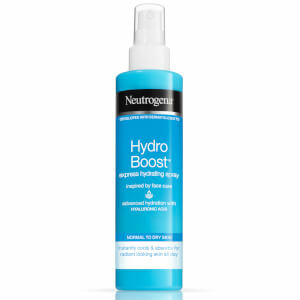 NEUTROGENA® Hydro Boost® Gelée Milk Cleanser is an innovative cleanser combining the lightness of a gel with the efficacy of make-up remover milk. The combination of Neutrogena® cleansing technology, hydrating agent and Hyaluronic acid which is naturally found in skin, help the formula to protect the skin barrier, boost hydration and help lock it in. Apply with a cotton pad over face, eyes and lips. No need to rinse. Suitable for daily use. 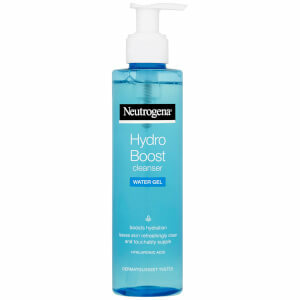 I am very impressed with Neutrogena Hydro Boost GeleÈ Milk Cleanser. And what not to love about it? It has very practical pump that allows control how much product you would like to use. The smell is very pleasant. And what is the most important think it is very gentle for your skin and eyes! No need to cry when removing your makeup (it did happened to me). Moisture your skin. And I mean it does moisture your skin. No more pulling sensation after clearing your face! So honesty you don't really need to put any moisture cream afterwards. And in the morning another surprise. You face not only feel fresh but there is no panda eyes! From all those reasons Neutrogena Hydro Boost GeleÈ Milk Cleanser was granted a permanent place on my shelf in my bathroom. 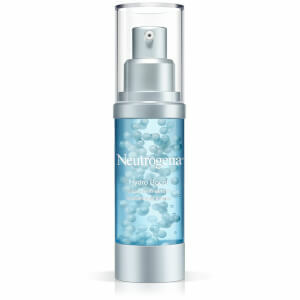 I have never really used that kind of cleanser but I really love using this Neutrogena Hydro Boost GeleÈ Milk Cleanser. It`s very easy to use, the pump gives perfect amount of it and it smells nicely. It removes my make up and keeps my skin non-greasy which is great. What really caught my attention was that it also contained hyaluronic acid which is very good for ageing skin. This cleanser leaves skin feeling clean and soft and is suitable for all skin types. I had used the hydro boost face wash before so thought I'd try the cleanser, I have very dry skin that always requires a lot of moisturiser and gentle products. I used a cotton pad to apply the cleanser as suggested in the instructions, one pump of the cleanser was just enough for the whole face. It went on easily and I liked that it could be used over the whole face including the eyes, about 10 minutes after using the cleanser and carrying on with what I was doing I realised I had t applied my moisturiser and didn't feel like I needed too either. I also used it to remove make up and have to say it was very good it only took two pumps to remove a full face of makeup including the eyes. To sum up this is the best cleanser I have ever used and it doesn't dry my skin out, I will be permanently changing to it now. I really loved using this product. What really caught my attention was that it also contained hyaluronic acid which is supposed to be very good for more mature skin as it has anti aging properties which is just what I need. I had found that after using a cleanser to remove my make up I would also have to wash my face or use a wipe as my skin still felt so oily, however this gelee milk cleanser felt so light when I used it and left my skin feeling completely non greasy. It was very easy to use and as I have very sensitive skin I can also highly recommend to anyone with sensitive skin as I actually found this really soothed my skin as I used it more regularly. I loved the fragrance which was not too strong but very pleasant. I think this is a fantastic product overall. The pump dispenser also makes it very easy to use and the packaging is very nice. This cleanser really leaves skin feeling clean and soft and is suitable for all skin types. Nice good quality packaging, not flimsy, and it a nice bright blue colour, matches my bathroom accessories! Like the fact that it is pump so much easier to use. The product itself smell lovely, nice, clean, fresh smell. The texture is kinda like a light moisturiser, I was expecting it to be more watery, although it is described as Geele Milk so I suppose that was it is! Removes makeup as it states but it did make my eyes sting a little bit but not for long, left my skin feeling really clean and and a few days of using my skin definitely feels softer. Would definitely recommend this product, not sure how long a bottle would last, I've been using for nearly a month and there is still loads left. 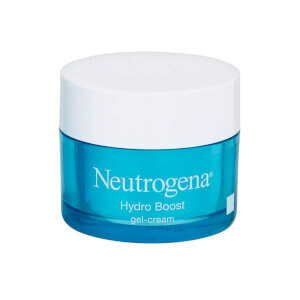 I found the Neutrogena Hydro Boost Gelee Milk Cleanser to be a fantastic all round product! I used a small amount on cotton wool to remove a full face of make up, which surprised me as i was expecting to need a lot more than i used! The gelee milk consistency seemed to be ideal at make up removal! It wasnt too thin that the cotton wool just soaked it up, leaving nothing there to do the job. It had a pleasant fresh scent that left my face smelling clean, whilst leaving my skin soft and thoroughly moisturised. Im extremely impressed as a little really did go a long way, with excellent results! A very good, handy product that made a real difference to my cleansing routine! I saved a lot of time without sacrificing results!